Remove alcohol - lose flavour? Learn simple before drinking, during drinking and after drinking tips and exercises to reduce alcohol craving and consumption and control your drinking with this revolutionary book! It's not a program, but an exciting drinker-friendly collection of easy moderate drinking strategies and techniques helping you to cut down and to think and act like a moderate drinker naturally. Calories In Alcohol - Do They Affect You? Are you aware that one glass of wine contains the similar number of calories to a piece of cake? What about a pint of beer - you'll be amazed to know that it has the equivalent value of calories to a hamburger? In a survey in 2009 for the Department of Health consisting of two thousand adults, four out of ten admitted that they had no idea about the number of calories contained in alcohol. The study also showed that the typical wine-drinker takes in two thousand additional calories every month. Over a year, that is roughly the same as consuming 184 bags of potato crisps or 38 dinners of roast beef - quite a startling figure. Wine, along with beer and cider, and of course spirits are our most popular drinks. These drinks are all made by fermenting or distilling starch and sugars during the making process. As alcohol is very high in sugar, this means that it contains a huge number of calories which actually amounts to seven calories per gram, which is almost as many as in pure fat! Calories from alcohol are considered to be empty calories - they have got no benefit at all nutritionally. Most drinks containing alcohol have tiny traces of minerals and vitamins, although not generally in quantities that will make any considerable contribution to your diet. It is not only calories that happen to be an issue for the waistline. Alcohol consumption lowers the quantity of fat your body uses up for energy. Each of us is able to store nutrients, proteins, carbohydrates, and fats within our bodies, but we simply cannot store alcohol. Therefore our systems really want to lose it fast - and doing this will take top priority. The many other operations that should be occurring in the body (such as absorbing nutrients and losing fat) are fully disrupted. In conjunction with alcohol consumption, often comes the temptation to consume unhealthy snack foods. So when out in the pub for an evening, we home in on these wrong - but tasty - snacks, such as crisps and peanuts. Then frequently top it off by some greasy fish and chips from the chip shop on the way home. The Department of Health survey reported that just about one in every three people order crisps, peanuts or other pub-style food to have with their drinks, whilst almost a fifth frequently go for takeaway foods. These are frightening results from a healthy eating point of view. It's no wonder, as junk foods are made to be appealing, they do taste good. More than one in three stated they will probably eat a lot more than they normally would, and forget the healthier diet completely, whenever they drink more than their recommended daily limit. And more than six drinkers out of every ten admit to having an unhealthy breakfast whenever they have a hangover. How many calories are there in an average alcoholic drink? Eat whenever you drink, as food slows down the body's alcohol absorption rate. Drink slowly and remain in control - quality rather than quantity. Choose low calorie or slimline drinks where possible. Add some water or even soda into your wine or spirit as dilution really helps. 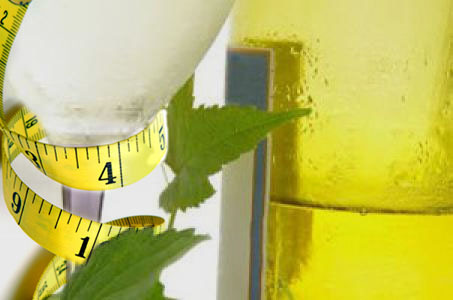 Don't drink too much - protect your waistline as well as you head as these alcoholic calories really do add up. EzineArticle Source: Calories In Alcohol - How Do They Affect You?